Since I started blogging about my adventures about 10 years ago, my one true goal was to inspire. Inspire the idea that travel was for you me, you and everyone. 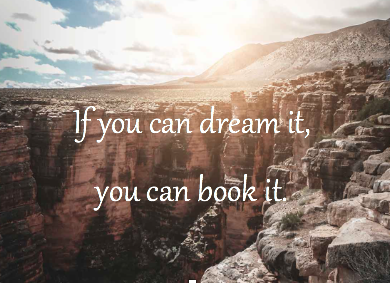 If you can dream it, you can book it. I’ve recently decided to take a step towards helping you even further. Through my new partnership with Expedia CSC, I am officially a travel agent. I have actually coined myself a Travel Curator as I don’t want to just book your flights and hotel – I want to design your full experience. Tips on how to pack, advice for travel documents, apps that you should download before departure, restaurants you need to try and so much more. I will find your perfect vacation, with you in mind and be there for you until you return.